Chocoholic? This is just the right cake for you! 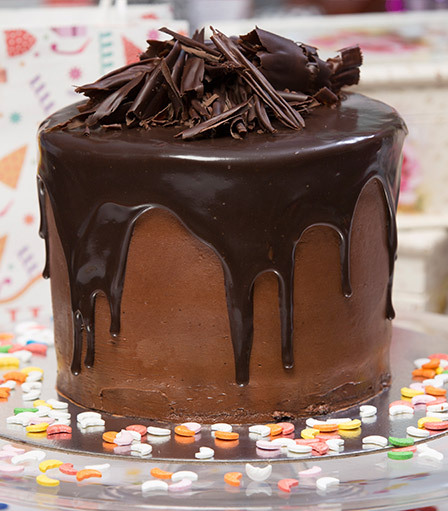 Dark and moist double chocolate sponge layered with heavenly chocolate frosting then iced with a chocolate layer and topped with dark chocolate ganache and chocolate shavings - a pure chocolate delight!